Incepted in the year 2012, we “Jahnavi Creations” are engaged in trading, distributing and supplying of Aquasafe Bottles, Canisters, Dry Storage Boxes, Food Preparation Equipmets, Freezer Canisters, Lunch 'N' Outdoor Boxes, Microwave Bowls, Refrigerator Bowls, Serving Sets and Ultimo Products. Keeping in mind latest market trends, the offered products are procured from reliable vendors of the market. The offered products are manufactured and designed by our vendor's experts using high quality raw material and advanced technology at their well-furnished infrastructural unit. Located in Noida (Uttar Pradesh, India), we are backed by the trusted vendors of the industry who are selected by us after thorough market research. Our procurement agents’ selects vendors on the basis of their production techniques, product quality, timely delivery, economic position, market reputation and industry experience. 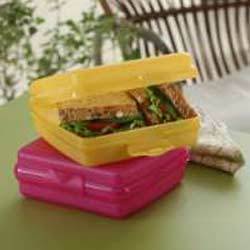 We are trader & distributer of Tupperware brand.